Ready to travel green in Virginia? There are now more than 1,400 certified Virginia Green travel partners in Virginia that have made commitments to implement green practices in their operations, and you can find them by searching for Virginia Green throughout Virginia.org/green. But be sure to consider these award-winning Virginia Green Travel partners, all of whom received Virginia Green Travel Star awards in 2013. The Westin Richmond makes green a central focus of the entire guest and meeting experience; and it implements new projects every year to reduce its environmental footprint, such as energy efficient lighting and air conditioning systems. The Hilton Garden Inn Downtown Richmond composts all of its food wastes, supports recycling projects in local schools, and collects used soaps for recycling in support for international mission projects. The sun provides for heating and air-conditioning at Oak Grove Plantation Bed & Breakfast in Cluster Springs; and the new solar panels and monitors offer a chance to learn firsthand about the potential for renewable energy. Want to plan or attend a green conference or meeting? The Virginia Beach Convention Center is a certified LEED-Gold facility that composts food wastes, recycles and reduces wastes, and has decreased their energy use by 27% since 2008. Solar panels provide 100% of the power at North Gate Vineyard. North Gate Vineyard in Purcellville is off the grid! Actually, they are not off the grid, but they do produce more energy than they use from their solar panel roof and sell the rest back to the power company. Monitor how much energy they are producing while you taste award-winning wines. Maple Avenue Restaurant in Vienna is a small, nine-table restaurant that focuses on local and sustainably-produced food and beverages and is challenging the local businesses and the town council to embrace and implement green practices. Williamsburg KOA heats their pool with a converted heat system that uses wood from fallen trees and branches. Green camping education and practices are part of the whole camping experience. The Virginia Aquarium & Marine Science Center in Virginia Beach composts all of its kitchen food wastes, and it received an EPA grant to coordinate a Restaurant Food Waste Composting Pilot Project that has now diverted more than 53,350 pounds of organics from the landfill. Green practices are evident everywhere at the Virginia Living Museum in Newport News, especially in the case of the new solar panel system, one of the largest solar panel arrays on a tourist attraction in the state. The 2013 LPGA Kingsmill Championship in Williamsburg was a “zero waste” event as all food wastes and disposables were either recycled or composted. The ASAE Foundation’s 31st Annual Springtime DC Invitational Golf & Tennis Tournament made green conferences and meetings the theme of the entire event with recycling and environmental education stressed throughout, including every hole of the golf tournament. Plus, the event was held at Lansdowne Resort, a certified Virginia Green conference center. Want to recycle and enjoy green amenities while on vacation? Sandbridge Blue Vacation Rentals focuses on its own business operations and encourages their rental properties to recycle and consider additional green practices and upgrades. The following Virginia Green partners received the Virginia Green Travel Leader Award for 2013. Request a free Virginia Travel Guide. 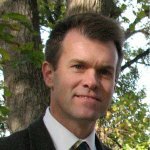 Our guest blogger today, Tom Griffin, is the Director of Greener Results Consulting, and has been the driving force of the Virginia Green program for Virginia’s tourism and hospitality industry. Industry partners can learn more about the program at VATC.org/VirginiaGreen. Consumers can learn more about Virginia Green travel opportunities at VirginiaGreenTravel.com.